Listed below are some important health complications caused due to sumptuous consumption of junk food. One disadvantage of consuming junk food is that it contains high amount of oil and fat. As a result, human body finds this food difficult to digest and needs to spend high amount of blood and enzymes. When a person consumes junk food in excess, a major portion of blood in the body is diverted to the intestine. As a result, the person feels drowsy and suffers with reduced concentration. Junk foods have been identified as a major cause of heart diseases including myocardial infraction, cardiac arrest and atherosclerosis. This is due to the fact that junk food contains excessive amount of low-density lipoproteins and cholesterol that get deposited on the inner linings of blood vessels. This result in formation of plaques and the heart is required to put an extra effort for pumping blood through the arteries. Presence of fat in the blood also causes reduced oxygen levels. Another harmful factor present in junk foods is excess concentration of sugars and salt. Excessive concentration of sodium ions causes an increased heart blood pressure. Even liver gets damaged due to presence of ingredients such as fat, cholesterol and salt inside the junk foods. 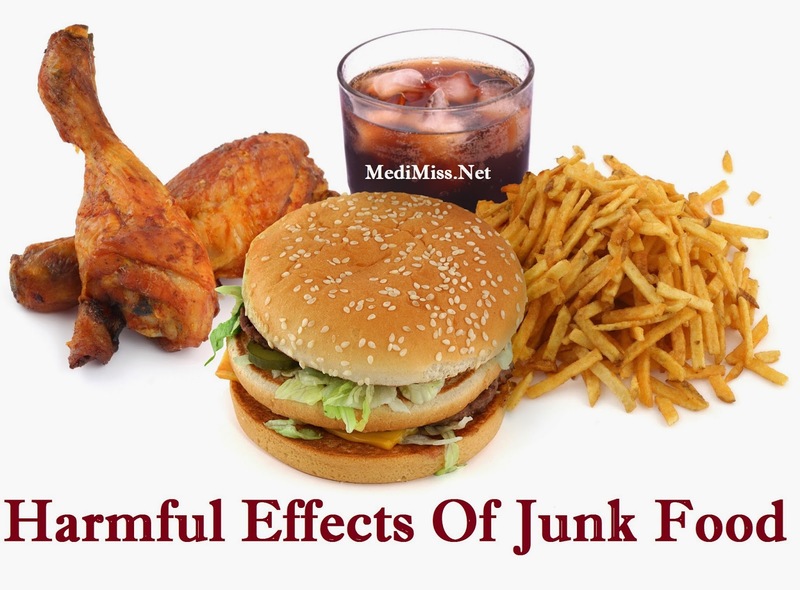 Junk foods also cause damage to the pancreas resulting in insulin-dependent diabetes mellitus (IDDM).